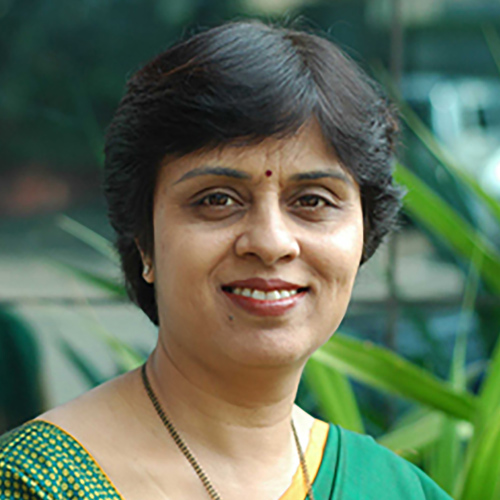 Dr. Vidya Yeravdekar is the Pro Chancellor of Symbiosis International (Deemed University). She is also the Principal Director of Symbiosis Society, which encompasses the Symbiosis schools and institutions under the Symbiosis International (Deemed University). A dream of her father, Dr. S .B Mujumdar, Founder and President of Symbiosis of creating ‘a home away from home’ for international students, Symbiosis today, has transformed itself into a multi-disciplinary, multinational, multi-cultural International University having students from all states of India and international students from 85 different countries. The University has institutes under 7 faculties viz. Management, Law, Humanities & Social Sciences, Health & Biological Sciences, Computer Studies, Engineering, Media Communication & Design. Dr. Vidya holds a Post Graduate Degree in Medicine, a degree in Law and is a Ph.D. in ‘Internationalisation of Higher Education in India’. To promote international understanding through quality education, she has brought in innovative approaches at Symbiosis International (Deemed University) through international collaborations with some of the top Universities in the world. Dr. Vidya has been able to influence policy regulations for promoting and bringing in innovative approaches to higher education in India through her appointments on various governmental bodies. She has been a member of University Grants Commission (UGC), Central Advisory Board of Education (CABE) and Indian Council for Cultural Relations (ICCR). She is member on the Board of several organisations like Indian Institute of Corporate Affairs, YeshwantraoChavan Maharashtra Open University, Symbiosis University of Applied Sciences, Indore, Symbiosis Skills and Open University, Pune, State Knowledge Advisory Board of Higher Education, Government of Andhra Pradesh, Sub-Group on Higher & Technical Education and Skill Development of Chief Minister’s Advisory Council, Government of Rajasthan, Task Team of Arts Management Strategy for Karnataka,Research Committee of the Association of Indian Universities (AIU) andPublic Health Foundation of India. Dr. Vidya has been appointed as a Independent Director on the Board of RITES Limited underMinistry of Railways, Government of India. Dr. Vidya has presented papers at various National & International Conferences and has numerous research publications to her credit. She has authored a book on ‘Internationalization of Higher Education in India’ based on her experiences and research in this field. This book is published by SAGE. Dr.Vidya’s hard work has won her numerous awards and accolades and she is now focussed on making Symbiosis International (Deemed University) benchmarked amongst one of the best Universities in Asia.